The loan limits for VA mortgage loans have been announced. 2019 VA loan limits will follow conforming mortgage limits for single family homes. VA loan amounts can exceed the loan amounts referenced above. The “limit” is the maximum a veteran can borrower without having a down payment. Veterans may receive a reduced down payment when the loan amount exceed the loan “limit”. If a qualified Veteran wanted to buy a home above the loan limit (aka “VA Jumbo”), their minimum down payment is 25% of the difference between the county loan limit and the sales price. Home Sellers should really consider accepting VA home buyers. Just because they’re putting less down, does not mean they are less qualified. VA home buyers have EARNED this benefit by serving our country. And these days, VA mortgage loans are not any more or less challenging to process and close than any other type of home mortgage. VA loans do not have monthly mortgage insurance and they have very competitive mortgage rates. If I can help you with a VA mortgage or any type of home loan for property located in Washington state, please contact me. Loan limits for VA mortgages have been announced and, like last year, will follow the conforming loan limits. Loan limits for VA mortgages have been announced and, like last year, will follow the conforming loan limits. This means that VA loan limits will be higher for King County, Snohomish County and Pierce County effective 2016. In 2015, VA loan limits will be the same as conforming loan limits. VA loans do not have limits. The “loan limit” that is referred to with a VA loan is highest loan amount a Veteran can borrower without making a down payment. It’s really a great benefit to those who have served our county. VA Jumbo loans (loan amounts over the VA limit) allow veterans to buy higher priced home with a greatly reduced down payment. 2014 VA loan guarantee limits for Washington State have been released. VA loans do not have “limits” like conforming or FHA loans. They do have limits as to the amount VA loans will guarantee. The loan amounts below reflect what VA will lend up to 100% loan to value. Loan amounts above the limits below have reduced down payments for Veterans who qualify for this benefit. Reader Question: Can Closing Cost be financed with a VA Loan? With a VA mortgage, the buyers closing cost cannot be financed, with exception to the VA funding fee, regardless of the appraised value. The VA loan amount is limited to the purchase price, appraised value or VA county loan limit (or VA jumbo loan amount)*, whichever is less. *NOTE: VA does not set actual loan limits on counties. They do set a limit as to their maximum guarantee (meaning zero down financing). In the greater Seattle/King-County area, the loan limit for zero down financing is currently $500,000. Click here for a complete list of VA loan amounts per county. VA loan amounts exceeding $500,000 in the Seattle/King County area are considered VA Jumbos and will require some down payment depending on the difference between the sales price and county loan limit. USDA loans, on the other hand, will allow for buyers closing cost to be financed IF the appraised value is higher than the sales price. The loan amount is limited to the appraised value and must be applied to bona fide closing cost. USDA loans are also zero down programs and are only eligible in specific designated rural areas, like Snoqualmie, Carnation or Duvall, and to borrowers who meet certain household income limits. Sellers can contribute towards closing cost for both of these mortgage programs and currently, low mortgage rates are often paired with enough rebate pricing to cover a majority of the closing cost. How much home do I qualify for with a $70,000 down payment? I’m working with a couple in Seattle who would like to buy a home. They have excellent credit (scores of 740 or higher) and are planning on using $70,000 for their down payment and closing cost. They want to know how much home they can buy based on their down payment. The following rate quotes are effective as of January 24, 2013 at 12:20 pm. Rates change constantly, for your personal rate quote for a home located in Washington state, click here. Conforming High Balance allows them to buy a home priced at $576,000. The conforming loan limit in Seattle/King-County is currently $506,000. Using a conventional mortgage, they could buy a home priced at $576,000. Current mortgage rates for a 30 year fixed conforming high balance ($417,001 – $506,000) based on this scenario is 3.750% (apr 4.094). 3.750% is priced as close to “par” as possible meaning there is as little rebate credit or discount points priced with the interest rate. We could adjust the rate slightly higher to create more rebate credit to help pay for closing cost or we could reduce the rate by paying more in discount points. The loan to value based on a sales price of $576,000 and loan amount of $506,000 is 87.874% which means the Seattle home buyers will have private mortgage insurance (pmi). For this client, we’re opting to include the pmi in their mortgage payment instead of paying it as an upfront additional closing cost or doing “split premium” mortgage insurance. The principal and interest payment is $2,343.36 plus private mortgage insurance of $282.52 gives us a “PIMI” payment of $2,625.88. Property taxes and home owners insurance are additional. The Seattle home buyers will negotiate the seller paying for remaining closing cost and prepaids/reserves estimated at $7900, leaving their amount due at closing very close to $70,000. If the sellers opt to not pay for closing cost and prepaids, the buyers can use rebate pricing (slightly increasing the mortgage rate) to offset the cost. FHA allows them to buy a home priced up to $637,500. FHA mortgages in the Seattle/King County area have a loan limit of $567,500. With a down payment of $70,000 they could buy a home priced up to $637,500. 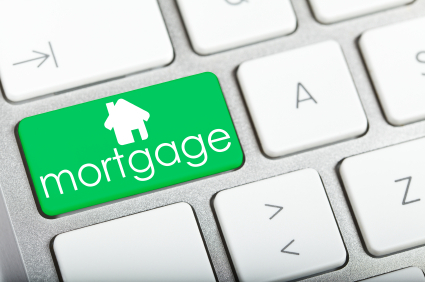 The big difference between FHA and conventional financing is the mortgage insurance. FHA has both upfront and monthly mortgage insurance. The current mortgage rate I’m quoting for their FHA scenario is 3.375% (apr 4.059%). This rate is priced with a little more rebate to help reduce closing cost. If the Seattle home buyers want a lower rate with less rebate credit, they certainly can opt for that. Mortgage rates are not locked until we have a bona fide contract and the rates will be “floating” while they shop for a home. The principal and interest on this rate and loan amount is $2,552.80 with mortgage insurance at $562.43 providing a PIMI payment of $3,115.23. Property taxes and home owners insurance are additional. After the rebate credit, if the buyers negotiate the seller paying the remaining balance of their closing cost, prepaids and reserves in the amount of $4,000, the buyers will need around $70,000 for funds due at closing. VA loans allow them to purchase up to $780,000 with a “VA Jumbo” loan. The VA zero down loan limit in Seattle is $500,000. When a loan amount exceeds the limit, eligible Veterans can have a down payment based 25% off the difference between the sales price and loan amount. For example, a sales price of $780,000 less $500,000 loan limit = $280,000. $280,000 x 25% = $70,000 down payment. The current rate I’m quoting for this VA Jumbo 30 year fixed loan is 3.250% (apr 3.379). The principal and interest payment on this loan is $3,136.31. There is no mortgage insurance on a VA loan. Property taxes and home owners insurance are additional. If the seller pays for $4500 of the Veteran’s closing cost and prepaids, then the amount due at closing will be around $70,000. USDA loans are not eligible in the Seattle area because it’s not a rural area. If you are interested in buying a refinancing a home located anywhere in Washington state, I’m happy to help you. I’ve been originating residential mortgages at Mortgage Master Service Corporation since April 2000. Reader Question: Do I Qualify for a VA Loan? I received this question on a comment and thought I’d share my response via a post. I am contemplating a return to the Tri Cities and would like to utilize my VA 0 down loan in the amount of $250,000 or less. My income is based of a civil service pension, social security and VA disability. The total gross amount I currently receive is $4,400 monthly. Am i going to be able to qualify for the VA (or any other)loan? VA’s standard guidelines allow for a debt to income ratio of 41%. This means that Greg’s total monthly mortgage payment and monthly debts should not exceed 41%. 41% of $4400 is $1804. VA guidelines would probably allow $1804 for total proposed mortgage payment and monthly debts. The current mortgage payment for a $250,000 zero down VA purchase would be roughly $1422 (including taxes estimated at $260.50 and insurance at $50 per month). This is based on rates as of 3:00 pm on January 3, 2012 of 3.250% (apr 3.430) for a 30 year fixed VA loan based on credit scores of 720 or higher. The proposed mortgage payment of $1422 less the $1804 allowed monthly debt (for the 41% debt to income ratio) leaves around $382 per month for other possible monthly debts (car loans, student loans, credit cards, child support, etc.). So if Greg has less than $382 per month in other debts, he would qualify for a $250,000 home (also assuming taxes and insurance are around what I’ve estimated). If Greg’s social security income may be able to be grossed up by 15%, which would allow him to have a little more “wiggle room” with the amount of monthly debt. In addition, if he is a disabled veteran, he may qualify to be exempt from the VA funding fee which would also reduce his payment by about $23.00 (apr 3.261). This would allow for $400 in monthly debt (not including if the social security income is able to be grossed up) with Greg qualifying for a $250,000 home in the Tri Cities. If you are interested in applying for a VA, FHA or conventional loan for a home anywhere in Washington state, please click here.